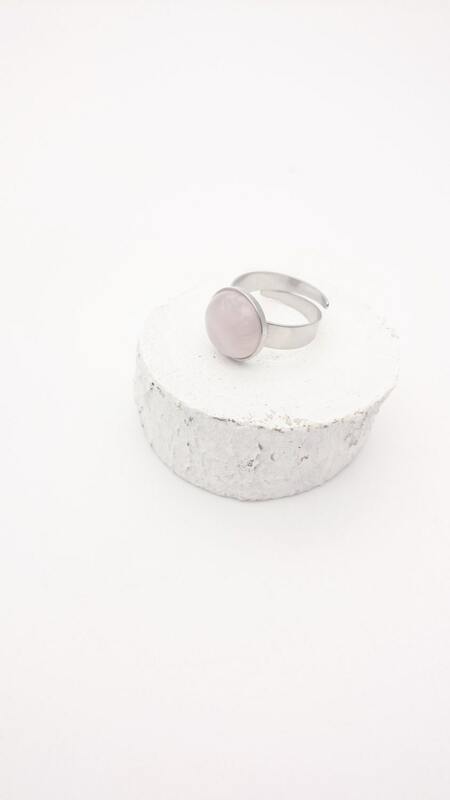 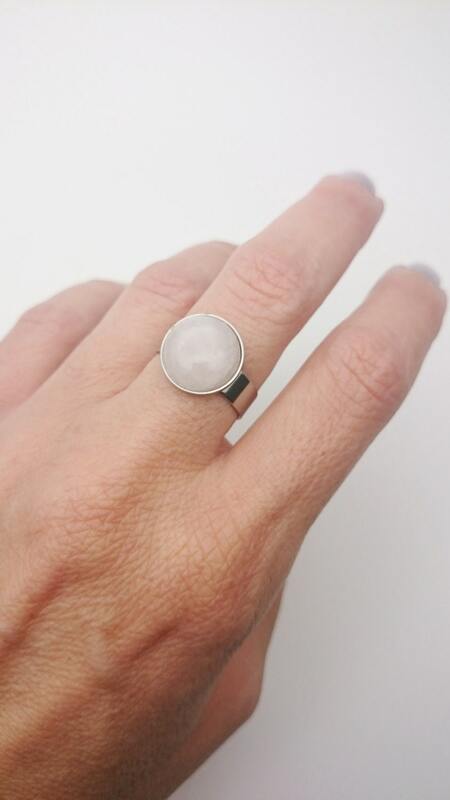 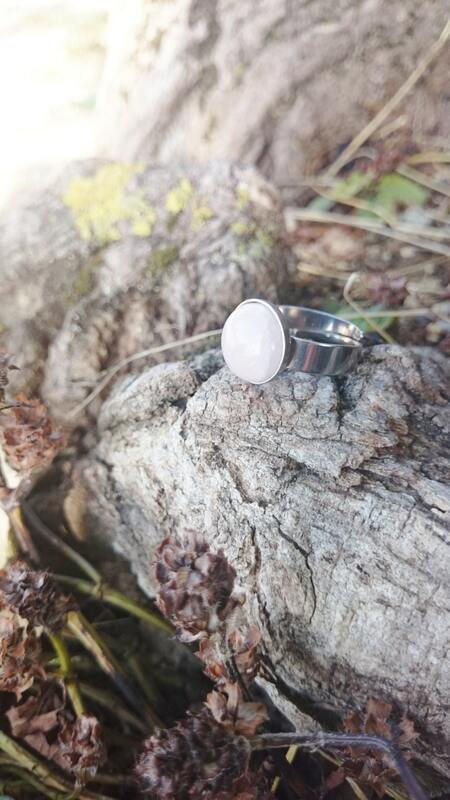 Rose quartz and silver stainless steel ring. 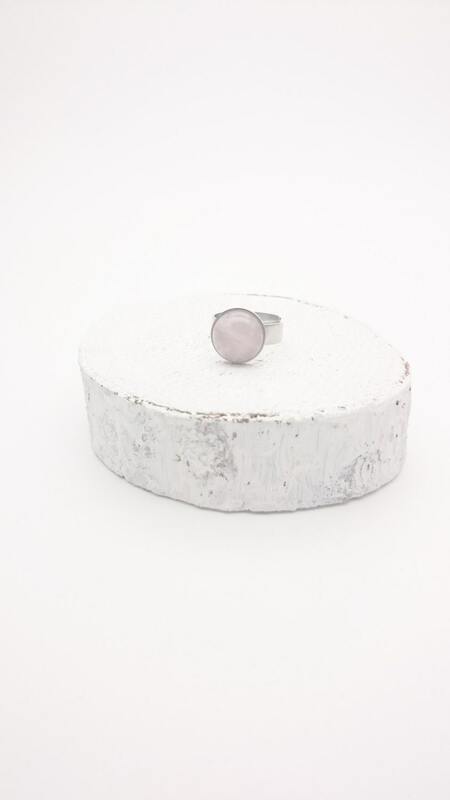 Rose quartz semi-precious gemstone cabochon 12 mm and silver stainless steel ring. 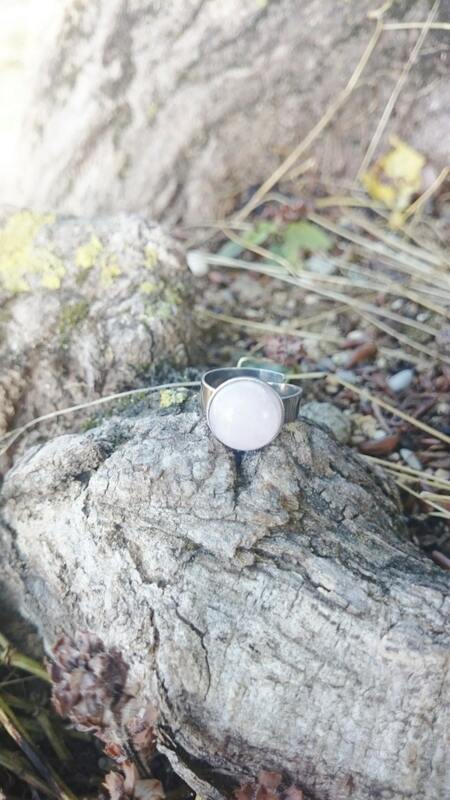 Rose quartz cabochon size : 12 mm diameter.